2016 Ford C-MAX For Sale In Vernon, Kelowna, Okanagan, BC. Punching above its weight, the 2016 Ford C-MAX offers a ton in a compact and efficient package. With five doors and a style all of its own, C-MAX is a game-changer in a number of different ways from ergonomic design to fuel economy. 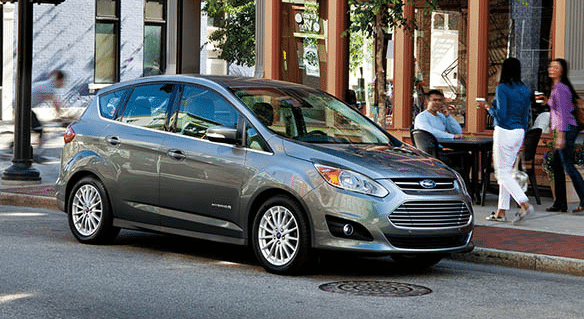 Hybrid SE, Hybrid SEL, and Energi are the three available trim levels for the 2016 Ford C-MAX. Aerodynamic design meets the 2016 Ford C-MAX in full force to promote efficiency and a sporty sense of style. The rising beltline and smooth contours further enhance the athletic essence of the ﻿﻿﻿﻿﻿C-MAX﻿﻿﻿.﻿﻿ Built for the Canadian climate, it features body-colour heated exterior side mirrors to keep clear of winter precipitation. A remote-release liftgate is a standard feature and a hands-free power liftgate is available - a great feature to have when your hands are full. The available panoramic fixed-glass sunroof and power sunshade lets you and your passengers allow the desired amount of light into the cabin in addition to fresh air when the weather is appropriate. 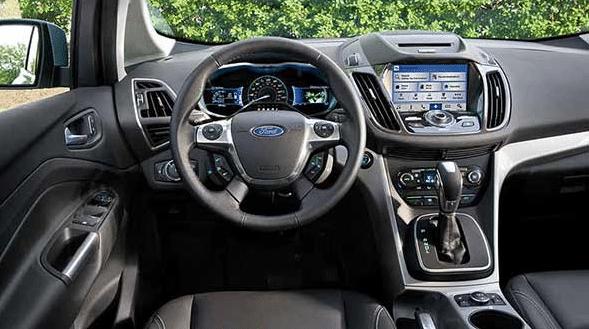 Ergonomic design makes the absolute most out of the comfortable cabin space offered in the 2016 Ford C-MAX. Seating for five comes with standard heated front seats. 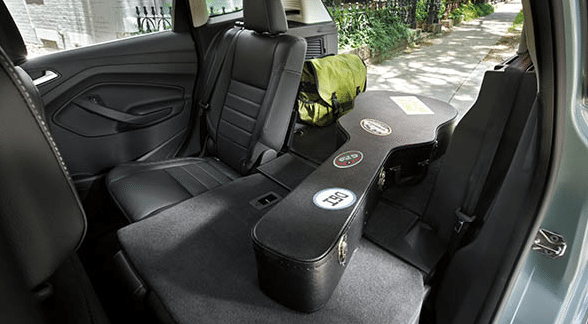 Enhanced cargo/passenger versatility is offered with the 60/40-split folding rear seats that can store larger items with seating to spare. SYNC is the standard while SYNC 3 is an available upgrade which features an 8” colour LCD touch screen and a media hub with two smart-charging USB ports. The Sony audio system with nine speakers delivers crystal clear sound to the cabin for listening to your favourite SiriusXM channels. Available voice-activated navigation assists you in finding your way so you can arrive on-time with the best route possible. The 2016 Ford C-MAX offers multiple driving modes and a regenerative braking system for enhanced performance and efficiency. 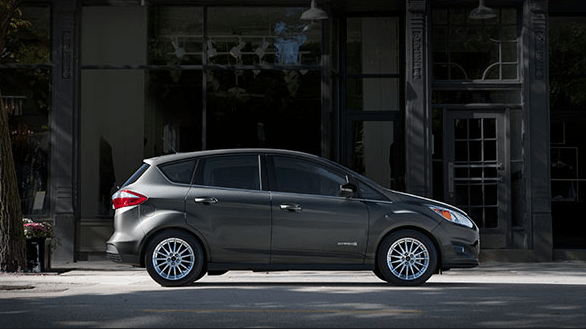 Two hybrid powertrains are available with C-MAX. Experience exceptional handling and acceleration with the electronically controlled continuously variable transmission. An available engine block heater is another terrific feature to have in the Canadian climate. Personal Safety System for driver and front seat passenger, including dual-stage front airbags, safety belt energy-management retractors, crash severity sensor, and restraint control module. Some conditions apply. See ﻿﻿﻿﻿Watkin Motors ﻿Ford﻿﻿ ﻿for full details in Vernon, British Columbia, Canada. The 2016 Ford C-MAX proves that great things come in compact packages. Have all the practicality and performance without the footprint when you drive a C-MAX. Add in fun-to-drive and stylish, and C-MAX truly is the complete 5-door hatchback that does it all, so what are you waiting for? Test drive the 2016 Ford C-MAX at your local Okanagan area Ford dealer - Watkin Motors Ford. Featuring an expansive inventory of new Ford models, Watkin Motors Ford has the new Ford model ready for you to enjoy. Proudly serving the Okanagan Valley, Watkin Motors Ford is the premier destination to purchase a new Ford car, truck, or SUV!